Slim Aarons made a career, in his words, "photographing attractive people who were doing attractive things in attractive places”. 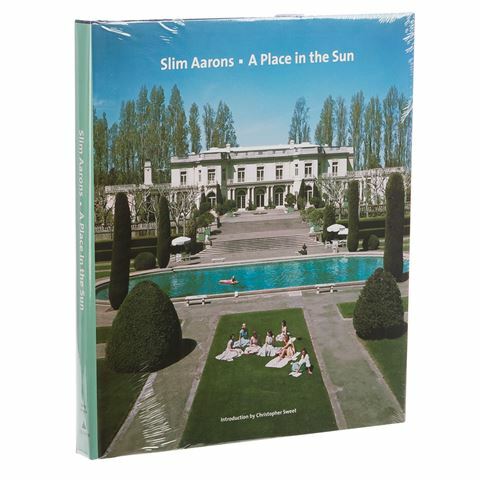 Slim Aarons captured their image for the picture magazines of the 1940s through to the 90’s and, in so doing so, defined the image of the beautiful People. Aarons always shows his subjects in their natural setting, in natural circumstances. A Place in the Sun is a stunning hardcover book of modern photography which will give you, the reader, a special glimpse into the privileged world of the rich and entitled. Only Slim Aarons can take us on a journey to the most exclusive playgrounds of the rich, inspiring aristicrats and even the most jaded armchair traveler. Introduce that fantastic coffee book to your home for added finesse or gift it to a photography connoisseur. Beautiful hardcover with 240 Pages.